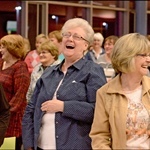 In Joy Through The Journey Brenda Elsagher will help empower women to find humor through the challenges in their lives. Impactful, authentic, funny and engaging; this message is for women from 15 to 90! 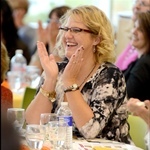 Brenda Elsagher is a dynamic keynote speaker, award-winning author, and 20-year veteran of comedy who encourages us to lighten up as we juggle life. She gets it. As a former business owner, and launching a new career at age 39 she understands the pull of too many directions, the strive for balance, the demands of a career and home, weight, money, stress and aging. And she tackles it in a way that makes you laugh! A Certified Humor Professional, Brenda brings a genuine, uplifting message, and reminds us that each day has only 24 hours and what we do with each hour can change our life. Be bold, go forward and have fun! 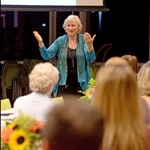 Brenda’s Joy Through The Journey keynote encourages personal action steps, and the audience walk away feeling energized. 4 practical ways to feel better each day. How to cope with stressful situations using humor. If we can laugh at it we can live with it. How to find balance and lighten up in life. Women’s event attendees, Canandaigua, N.Y. This talk is available for 1 CEU Credit. 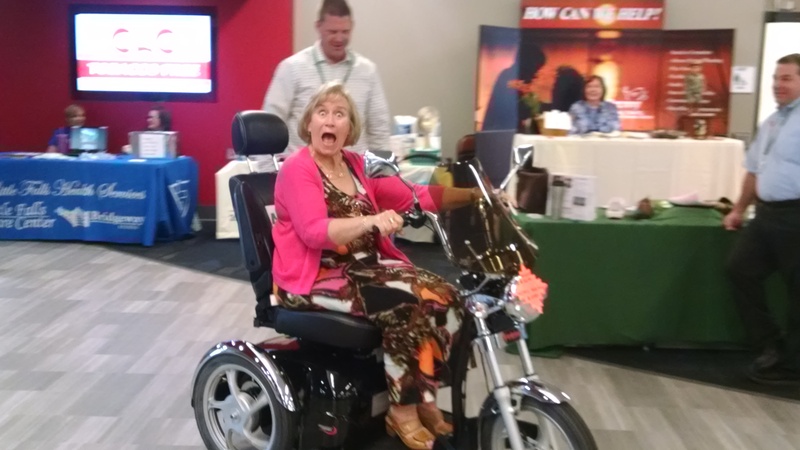 This presentation will be engaging, funny, and heartwarming, giving the healthcare professional an opportunity to experience the perspective of a patient in a healthcare setting. A rare look “behind the scenes,” with numerous and humorous insights for healthcare professionals, they will walk away assured they make a difference in the lives of their patients. 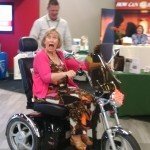 Brenda is a Certified Humor Professional accredited through the Association of Applied and Therapeutic Humor. It is a 3- year program that teaches evidenced-based research on humor and healing. There is actual science for what Brenda knew instinctively. Brenda’s stories illustrate the need for humor with patients and their families to use as a coping tool through the laughter and the tears. The great side effect is that the healthcare professionals benefit too making the work place a healthier place to be. 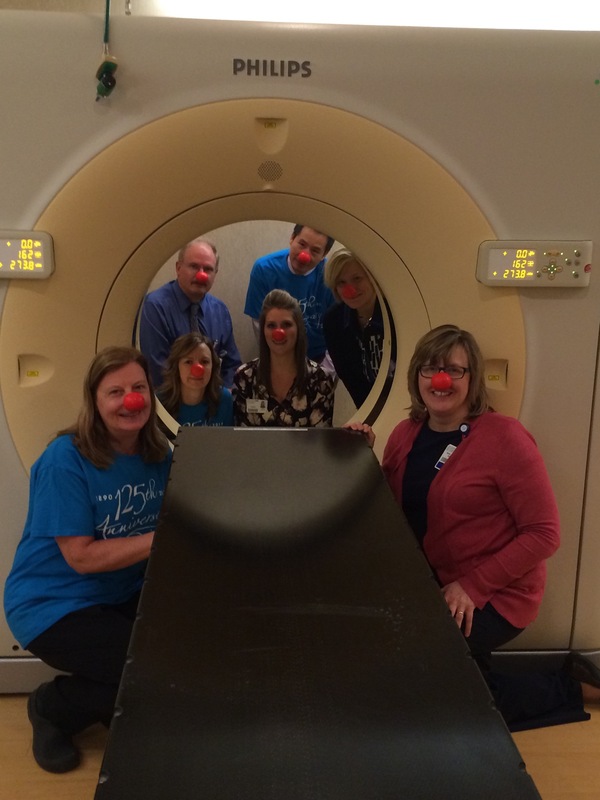 Use humor to relax patients, caregivers, and co-workers. 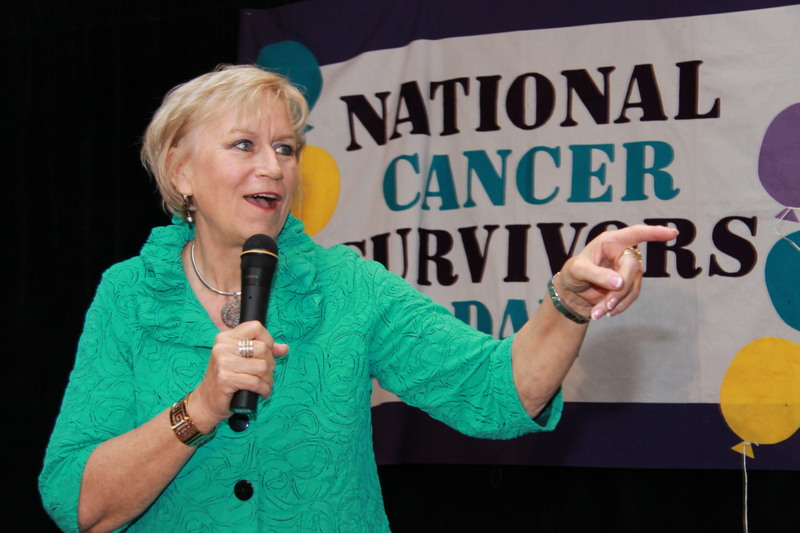 Brenda brings you on a journey of laughter with a respite from the realities of life dealing with cancer. 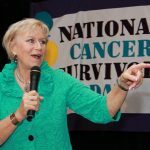 Daring to say things that people without cancer never say, she relates to her audience in the special language of people in the trenches of cancer. 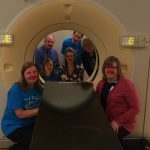 In her fox hole, is an arsenal of laughter that leaves the survivors, caregivers, and healthcare professionals with an overall sense of well-being and understanding. Hope is her biggest weapon and she throws it out with encouragement along with huge doses of hilarity changing the focus to the bigger dimension of living life to the fullest with all we’ve got. This keynote is based on Brenda’s award winning book, “Your Glasses Are on Top of Your Head.” It looks at our lives through a lens of humor. Brenda brings stories from life that are relatable to every generation. A master storyteller, Brenda will keep you in stitches as she talks about stressful situations looking at life from the lighter side. Science has shown that humor aids in promoting health and wellness in our lives. We will learn 4 easy ways to improve our daily quality of life. Brenda shows audiences how to find the funny in the little things. While laughing through the “joys of aging” and technology, she brings it back to the basics of self-care. Brenda’s talk teaches us how important it is to use humor to stay engaged in the business of living, and accepting the challenges we face with grace and humor each day. With a dose of gratefulness, honesty, and good laughs, the audience will walk away rejuvenated. Embrace technology without losing your mind or your humor.